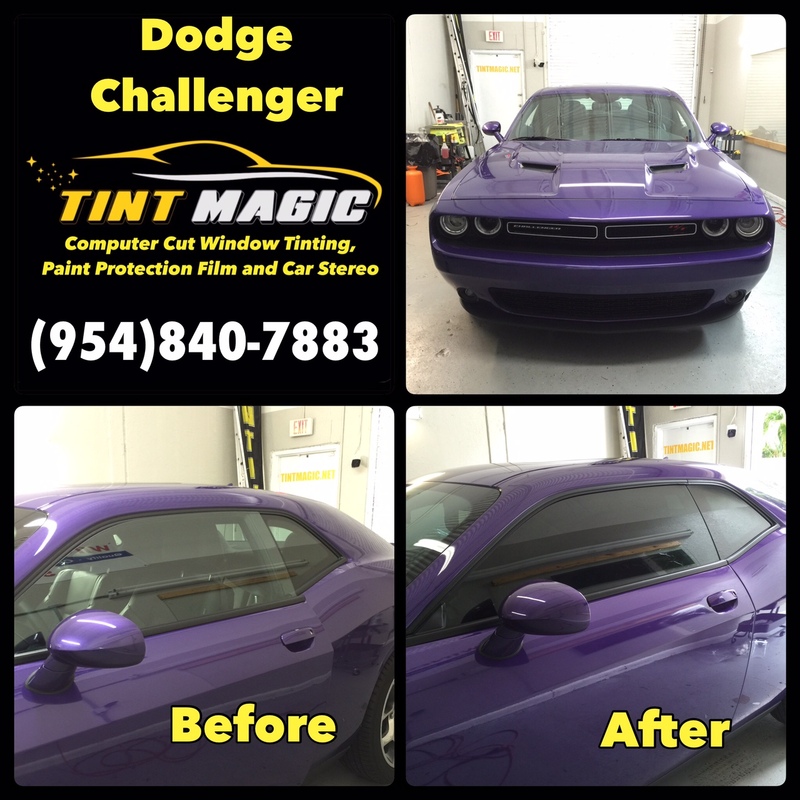 2016 Dodge Challenger at Tint Magic Window Tinting Coral Springs. We applied SunTek CXP 18% window tint all over around 2016 Dodge Challenger for the best heat rejection and 99% UV protection. Call us for the best quality and service! (954)840-7883. The Challenger is based on a large-car architecture that it shares with the Dodge Charger and Chrysler300 sedans. As a result, it weighs several hundred pounds more than its primary rivals; its largeness does afford much better rear-seat accommodations, and it also offers a plethora of engine choices for buyers (although there is no turbocharged four-cylinder option as in the Mustang and Camaro).